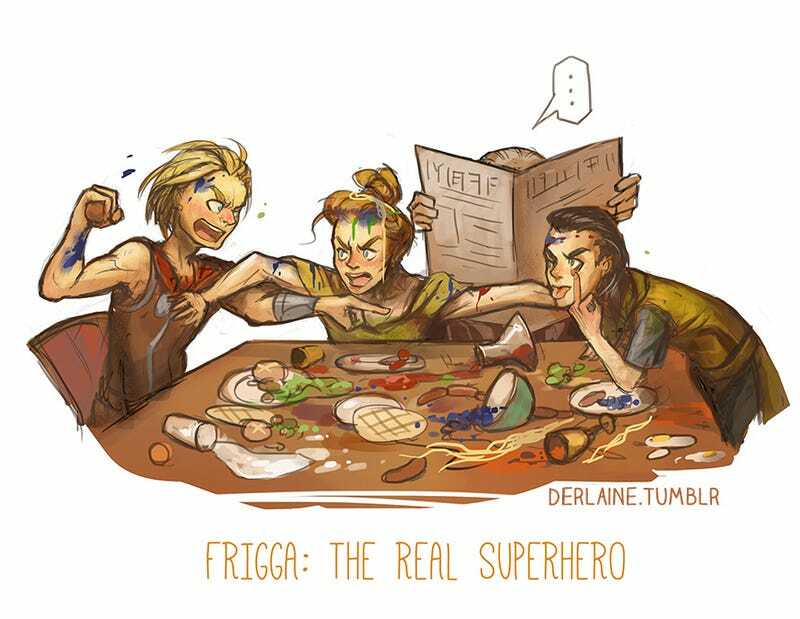 Sibling rivalry typically starts in childhood, and artist Laine shows the roots of Thor and Loki's fraught relationship in a series of comics and illustrations from their youth. 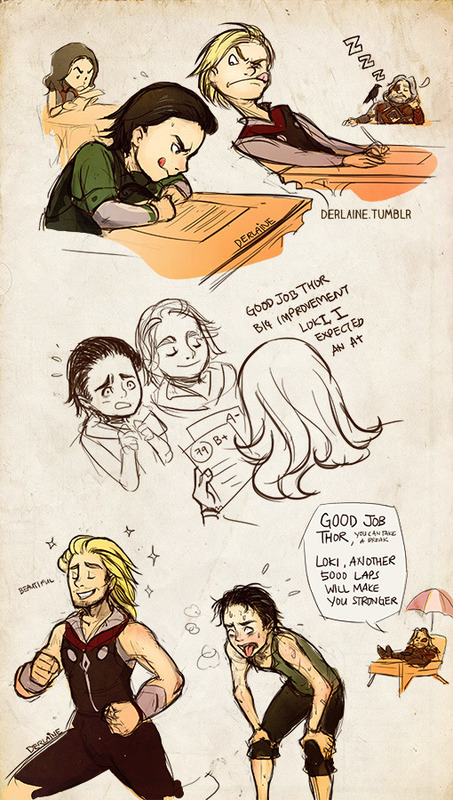 She has a bunch of Loki moments up on Tumblr, but be warned, there are spoilers for Thor: The Dark World. She also has some rather adorable Thor and Loki pillows (as well as Iron Man and Captain America) available in her store.